A new study focused on the beetle’s capacity to transmit signals through chemical liberations from the female towards the male that could give a whole new meaning to the phrase “I’m not in the mood”. The ability for the female burying beetle to let potential candidates for reproduction know she isn’t interested in making new babies goes beyond excuses alleging headaches. When this specific type of beetle gives birth and is in the process of caring for its babies, she releases a chemical signal to her potential or current mate that she is not in the mood. Biologists at the University of Ulm in Germany claim these female beetles can employ an anti-aphrodisiac chemical identified as a pheromone to warn her mate from trying to copulate. Researchers at the University of Ulm studied over 400 types of beetles collected from a German forest, giving them plenty of data to compile and then analyze to further observe the beetle’s behavior in detail. The study focused on the beetle species named Nicrophorus vespilloides was published on Tuesday in the journal Nature Communications and is focused on providing an insight into the customs of beetles. The preventive discharge of the chemical can last up to three days, yet those are the most critical days for beetles to raise a new offspring. The chemical reaction makes the male beetle think his mate is temporary infertile, so it allows the new mother to concentrate on her young while they’re vulnerable and in need of constant attention. This beetle species isn’t called burying beetle for nothing, as it’s known to nurture their larvae by burying everything that could serve as a supply for their offspring, including small decayed birds and rodents. The new study led by biologist Sandra Steiger or Germany’s University of Ulm intends to better understand how these animals are able to change their behavior for the security and well-being of their young. 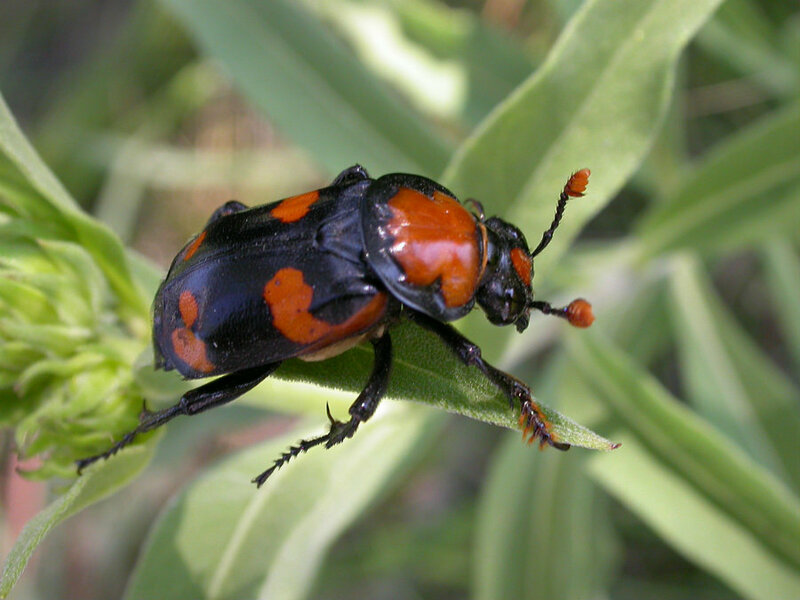 In addition to releasing pheromones able to prevent the male of trying to copulate to the female in order to give her time to tend to her offspring, burying beetles can also apply antimicrobial secretions that allow them to suppress bacterial and fungal growth on the rotten animals they bury for larvae. This not only proves that animals do care for their young as any parent would care for theirs but also shows how adapted beetles are to secure the endurance of its offspring. “Our study helps to understand animal family life and how it is coordinated between family members,” said the lead author of the study, Sandra Steiger.